The County of Maui honors spiritual leader with a distinguished Proclamation naming September 21, 2014 “Dr. and Master Zhi Gang Sha Day” in honor of the humanitarian service that Dr. and Master Zhi Gang Sha bestows on the Hawaiian community and the world. Dr. and Master Zhi Gang Sha, founder of http://www.drsha.com and the New York Times bestselling author of Soul Healing Miracles, was honored by the County of Maui with a distinguished Proclamation naming September 21, 2014 “Dr. and Master Zhi Gang Sha Day” in honor of the humanitarian service that Dr. and Master Sha bestows on the Hawaiian community and the world. This honor coincides with International Day of Peace events held throughout the world, but especially in Maui where Dr. Sha invites the community to connect at Love Peace and Harmony events in person and via global webcast. This year, Dr. and Master Sha, creator of Soul Mind Body Medicine™, led hundreds of thousands of people to sing, chant, and meditate to bring awareness to International Day of Peace through a global broadcast from Maui. Master Sha taught individuals how they can heal the world by applying Soul Healing Miracles practices. To be part of this massive growing meditation movement, go to https://lovepeaceharmonymovement.drsha.com. Dr. and Master Zhi Gang Sha is the world-renowned miracle soul healer. He has created thousands of soul healing miracles worldwide in the last ten years (http://www.youtube.com/zhigangsha). He is the founder of Soul Mind Body Medicine™. He was trained as a conventional medical doctor in China and a doctor of traditional Chinese medicine in China and Canada. 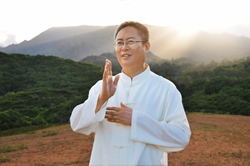 The founder of the Institute of Soul Healing and Enlightenment™ and the global Love Peace Harmony Movement™, Dr. and Master Sha is a grandmaster of many ancient disciplines, including tai chi, qigong, feng shui, and the I Ching. Master Sha is also an expert in the most advanced cellular healing science now occurring in China. In the West, he is involved in breakthrough research on the effects of spirit on the human system. Dr. Sha was named Qigong Master of the Year at the Fifth World Congress on Qigong. In 2006, he was honored with the prestigious Martin Luther King, Jr. Commemorative Commission Award for his humanitarian efforts. Dr. and Master Zhi Gang Sha has more than 100,000 followers on Facebook and an additional 250,000 devotees worldwide. The Soul Healing Miracles™ Chanting Channel fosters a soul healing community to learn and use chanting and soul songs for personal, spiritual, mental and soul development, 24/7. Dr. and Master Sha’s Soul Healing Miracles™ Daily Live TV airs everyday on Livestream, 9am PT, 12pm ET.